Ready for ten full days of On Your Mark inspiration? 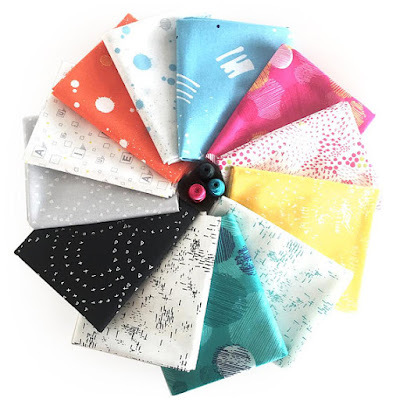 Ten designers received the twelve On Your Mark fat quarters you see below. We can't wait to share what these they have made! 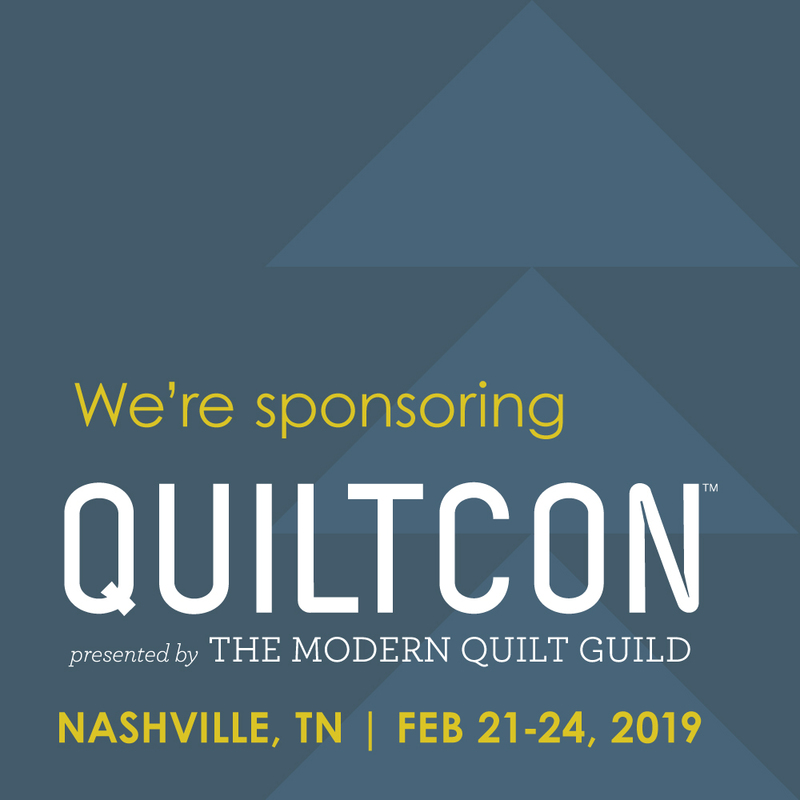 Each day we'll share a sneak peek here of a designer's project; you can use the links to visit their social media and learn more. 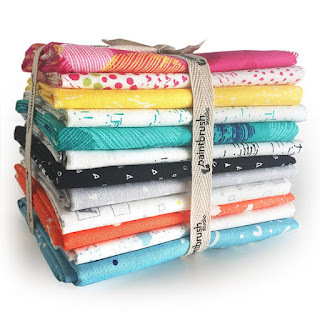 You'll also have a chance to win a fat quarter bundle of On Your Mark fabrics. If these prints are on your "must-have" list, you can purchase this bundle right here. Sarah (@nohatsquilts) took inspiration from her girls and paper pieced a horse with that fantastic exclamation mark print as a background. It's adorable! 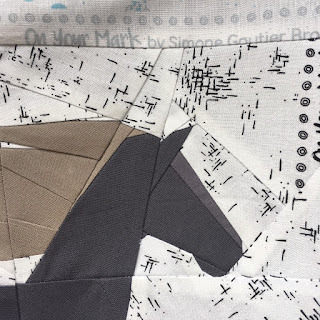 Visit Sarah (@nohatsquilts) to see the horse that inspired her, as well as the full pieced block, and enter to win a FQ On Your Mark bundle. Need to add On Your Mark to your stash? Purchase your own 12-fabric FQ bundle here. Read our interview with Simone here. 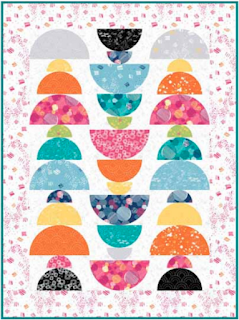 See the entire On Your Mark collection here and download Simone's free Gumdrop quilt pattern here. It"s stunnung.I love paperpiecing patterns. Can't wait to see this intriguing project! I loved her inspiration for this piece. Mad for Solids: Championship Game!